As an underachiever, I kept my expectations of Yellowstone very minimal. I wanted to see geysers (check!) and bison (check!). When the driver in the oncoming lane flashed his headlights at me, little did I know the thrill of a lifetime was beyond the next bend. 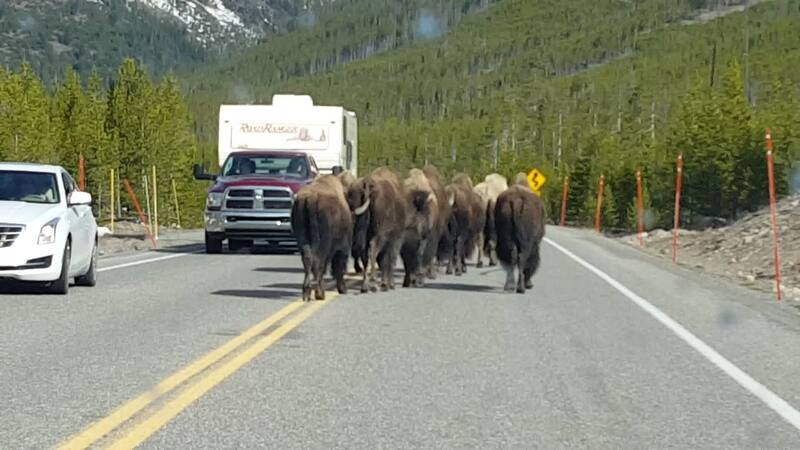 Suddenly I was the lead car in a bison jam!!! This visual serves as a reminder for me to take it easy and not be in such a hurry.